Red Deer Life, June 19th, 2010. If you are viewing this news clip and my commentary on it from outside Canada, let me assure you that the clipping speaks of a bona fide barbaric act. This is not an urban legend that the local newspaper got deceived into thinking was true. 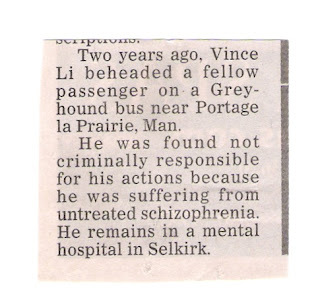 We must keep track of what happens to a murderer like Vince Li, how he is treated, and where he ends up, not just to protect ourselves, but to see how far this liberal society of ours will go with its pro-criminal philosophy. Vince Li’s crime, because of its extremely savage nature, is a bellwether case. If someone who beheads a person in public will not be punished, then really, it is plausible that anyone might get away with any crime at all, no matter how horrific. 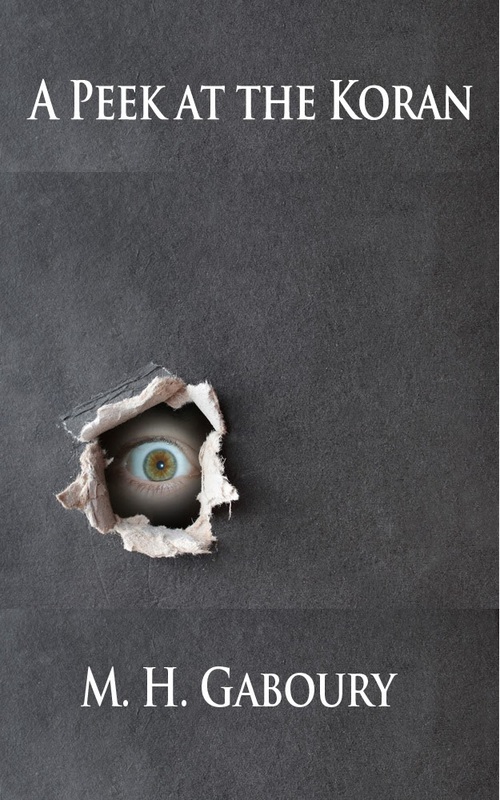 Mental disease, because it is said by ‘experts’ to exist in so many forms and to such varying degrees, is the criminal’s favorite escape hatch, either through his own testimony or that of medical speculators. Diagnosis of mental disease is not a sure science. Our most trusted and esteemed psychiatrists and psychologists ‘diagnose’ by means of speculation. And this speculative diagnosis of mental disease in criminals is usually to the purpose of not punishing. It is easy to see why something that hinges on their opinion (the diagnosis) would be used by such ‘doctors’ to argue their case against punishing barbarians like Vince Li. Their opinion on something so nebulous as mental disorder will be made to lean in the direction of their philosophy: on the side of rehabilitation instead of punishment. There is this poet called Rumi who says there is a field beyond right and wrong, and that it is good for the soul to rest there. Our modern ‘shrinks’ are living in this imaginary field; and they want us to live there too. It is interesting that the greatest law code in history does not mention mental disorder as a factor to nullify or even mitigate the punishment of a murderer. We are absolute fools to dismiss the Bible’s approach in dealing with homicide. 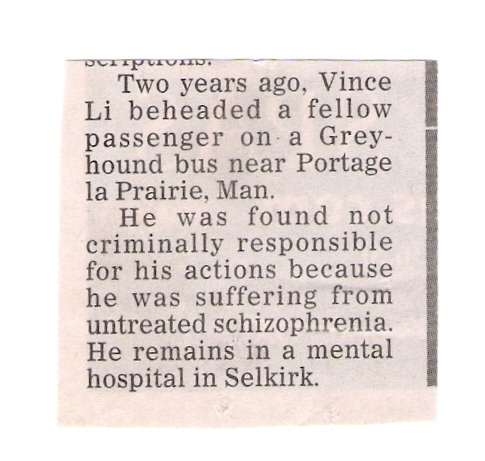 A case like Vince Li’s, as far as the Bible is concerned, is what we call a ‘cut-and-dried’ case of cold-blooded murder. The shedder of innocent blood should pay for his crime with his own blood. When justice requires rehabilitation instead of punishment, let’s call that what it is: help and protection for the guilty, but injustice for the innocent and continued danger to the community. By unproven diagnoses of mental disorder, this is where we are at today. Some doctors and lawyers will argue almost anything to spread their philosophy, gain a reputation, and make bags of money. That justice for the innocent party suffers in the process is nothing to their conscience.